FPCA has a vibrant and flourishing music ministry that offers opportunities for all ages and abilities to express their faith and talents. Those involved in this ministry are a part of a long history of musical excellence and I am delighted to serve as the leader of this church’s music and arts vision. I love witnessing music’s ability to help people better understand scripture and to connect with God. A Kansas City native, I proudly hold degrees in musicology, church music, and conducting from the University of Missouri – Kansas City (BME, DMA) and the University of Kansas (MM). 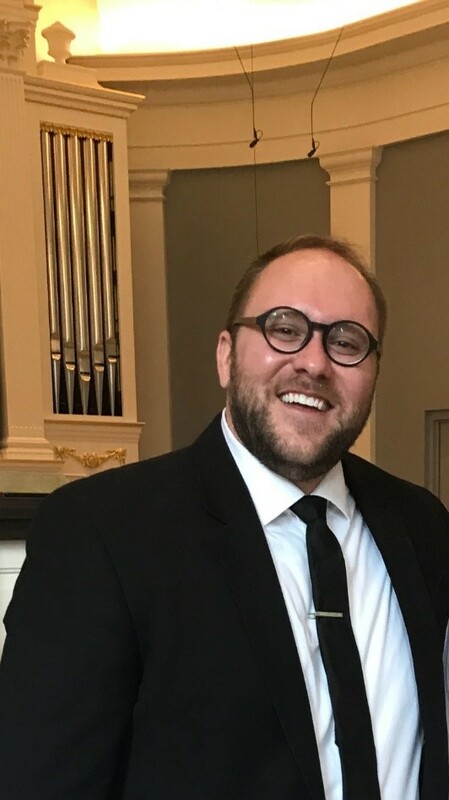 I have enjoyed serving a number of congregations including most recently as Director of Music and Choirmaster for Grace Episcopal Church in Liberty, Missouri and Choral/Vocal Intern for Village Presbyterian Church in Prairie Village, Kansas. I have been a member of several professional choral ensembles including Simon Carrington Chamber Singers, Spire Chamber Ensemble, Norfolk Chamber Choir, KC Collegium Vocale, Te Deum Chamber Choir, and Te Deum Antiqua, where I also served as Artistic Associate. In 2014, I received the Ellen Battell Stoeckel Vocal Fellowship from Yale University and served as Assistant Conductor for the 2016 Prague Choral Festival.